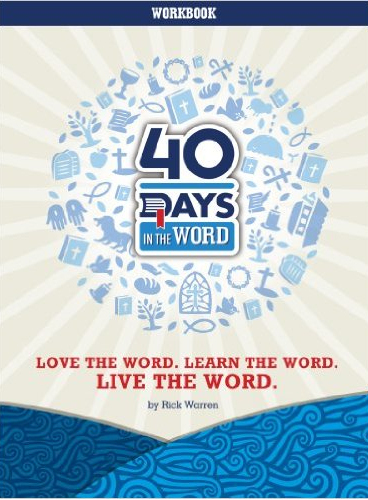 Come along with Pastor Rick Warren on this small group study of six principles of the Word of God. 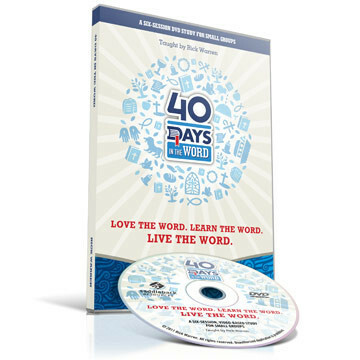 You’ll learn how to be not only a “hearer” of the Word, but also a “doer” of God’s Word. *We have found it extremely valuable to watch or listen to the weekend messages in conjunction with the related small group sessions/study guide. 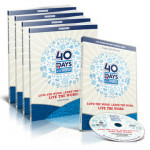 This DVD study contains six powerful small group lessons taught by Rick Warren. Each 25 minute lesson, combined with the materials from the participant workbook, will inspire every member of your small group to Love the Word, Learn the Word, and Live the Word! 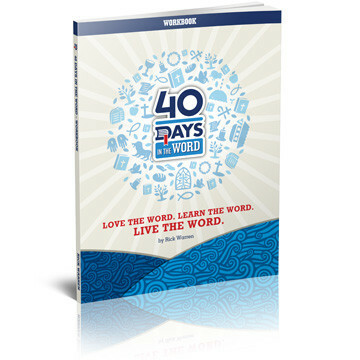 40 Days In the Word is a journey of eternal significance, as you and your church will learn how to be not only “hearers” of the Word, but also “doers” of God’s Word. Each session is geared toward teaching your small group the devotional method of Bible Study. These easy-to-learn methods of Bible study will take you on a journey of eternal significance that will change the way your small group reads Scripture. Includes reading Philippians, Matthew, James and Psalms. DVD is formatted for all regions. We are using the material 40 Days in The Word in our women’s Bible Study group. This group has a lot of young moms and I most appreciate the very clear and easy method to get them meditating and memorizing the Word. 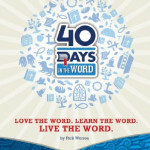 The devotional method that Rick Warren teaches is a wonderful tool making God’s Word understandable and personal.